The Hebden Bridge Camera Club held its annual exhibition at the Town Hall recently and, as usual, it was very popular. People came from all over to view the images on display and take part in the ‘People’s Choice’, where they were asked to cast votes for their favourite three images, in order of merit. There was no set theme for the photographs and visitors commented on how difficult it had been to choose their own favourites because the images were all so good. 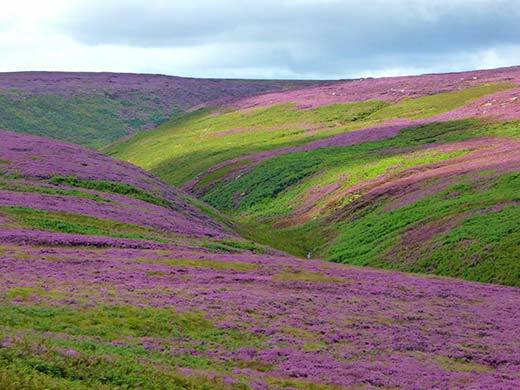 Local views have always been very popular but this year the natural history shots won through. 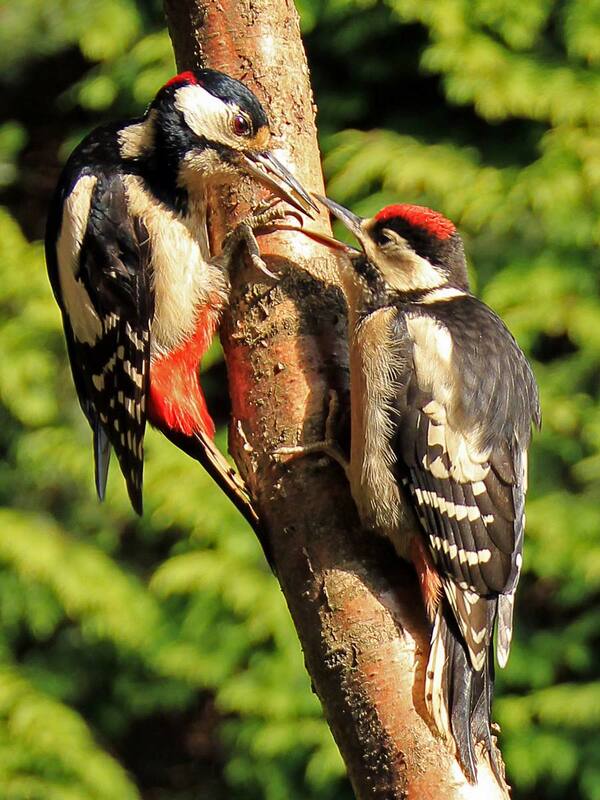 The voting was tight and this year the image taking first place was by Jim Strom, a beautiful photo taken in the photographer’s own garden and entitled ‘Great Spotted Woodpecker (adult male feeding juvenile)’. In second place was a colourful landscape of a local scene called ‘Cragg Vale’s Heather Carpet’ by Steph Penny. 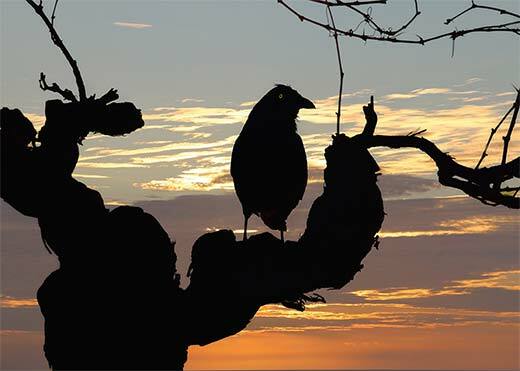 In third place was a lovely silhouette, ‘A Crow at Sunset’ by Martin Whittell, taken abroad. See the club’s website for all information about the club and the programme for the coming season can be found. The club always welcomes new people so if you have an interest you would be welcome to attend any meeting to see what you think. The club meets at the Masonic Hall, Hangingroyd Lane, Hebden Bridge, every Wednesday evening from September to April at 7:45pm. The club produces the Hebden Bridge Calendar each year and the 2018 edition went on sale at the exhibition and sold well, this is now available to purchase in several outlets in Hebden Bridge, Mytholmroyd and Todmorden or from club members. Featuring beautiful views of Hebden Bridge and the surrounding area, it would make a great Christmas present, especially for those living away. The club would like to thank all who attended to make this year’s exhibition a success.